Never say die! SEGA's final console, the Dreamcast, lives on — and with Blu-ray. Ain't that a kick in the nards? 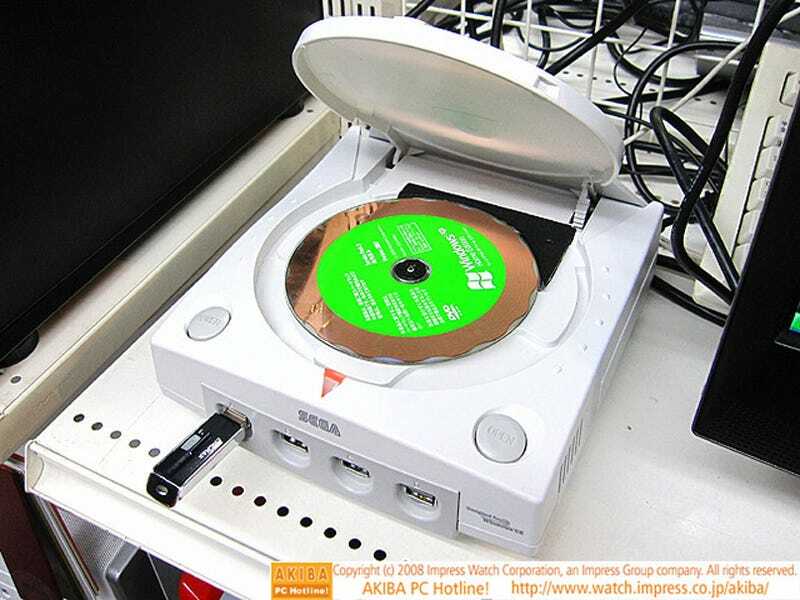 Tokyo PC shop Tsukumo has gutted the Dreamcast console and stuffed it with all sorts of stuff: a compact Sony NEC Blu-Ray BD-5500A drive, HDMI output, a Western Digital 160GB hard drive, and a MINIX 780G-SP128MB motherboard. The controller plugs have been turned into Flashdrive-friendly USB ports. It runs on Windows XP Professional. Total cost to create this PC in a DC shell? Approximately a cool thousand bucks. It's on display at Tsukumo's main Tokyo retail stop. This same shop previously turned a SEGA Saturn into a computer as well.